UN Secretary General Antonio Guterres has called on all member states to support the efforts of the UN and his personal envoy for the Sahara, Horst Köhler, aimed at reaching a final solution to the Sahara issue. 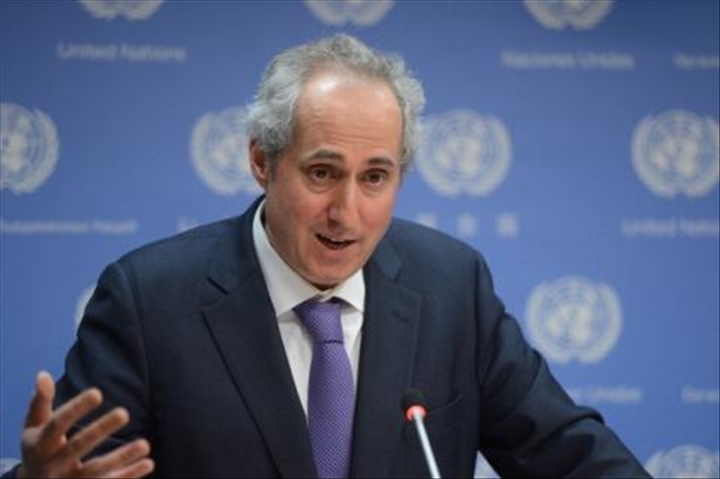 “We hope that all Member States support the UN’s effort”, Spokesperson for the UN Secretary General, Stéphane Dujarric, said Tuesday in his daily press briefing in New York. Responding to a question on the African ministerial conference convened in Marrakech on the African Union’s support to the UN political process on the Sahara, Stéphane Dujarric, stressed that the Secretary-General’s response lies in the work and efforts of his Personal Envoy, Mr. Köhler, who has just convened in Geneva another round of talks with the parties to the conflict. He noted that these efforts “are mandated by the Security Council”. The 37 African delegations that made the trip to Marrakech, last Monday, adopted a final declaration in which these countries of the five sub-regions of the continent, reiterate their support for the UN leadership and their unanimous support for the UN process, as the exclusive framework for handling the regional dispute over the Moroccan Sahara. According to some Western journalists, it is rather an encrypted message that the UN addresses indirectly to South Africa that held Monday in Pretoria, a meeting of support of the Southern African Development Community (SADC) to the Polisario Front, in the presence of a handful of African and Latin American countries. The theme of the Pretoria meeting, of course, is a blatant violation of decision 693, adopted at the 31st AU Summit held July 1-2 2018 in Nouakchott. Under the decision, the pan-African organization steps aside, recognizing the UN as the only authority to address the Moroccan Sahara issue. Yet, South Africa, in complicity with Algeria, which are still struggling to support the Polisario’s chimerical claims of independence, brought to Pretoria twelve small states of southern Africa and Latin America in a vain attempt to challenge the UN and resuscitate the debate within the African Union around the Sahara issue.